The upside is that Meghan’s circle is getting to address the f-cksh-t that’s been happening recently. The downside? Thomas Markle is going to dial up his friends at the Daily Mail and the Sun and Piers Morgan and they’re not going to ask him the tough questions and challenge him – it doesn’t serve their purpose. So, probably by the weekend, we’ll be hearing from him again. And then a fresh wave of mess will be upon us. As I said on Friday, Thomas Markle usually likes to take a dump on Sundays. And then the Mail on Sunday published the letter. As one of Meghan’s friends told PEOPLE, she wrote to her father after the wedding to ask him to stop “victimising [her] through the media”. Meghan haters were all like, as if there’s a letter – if there was a letter he would have shown it to us already. Well… no. Because, remember, Thomas Markle’s narrative, up to this point, was that Meghan had ghosted him. That he’d not heard from her since the wedding, a claim that he has repeated in SEVERAL INTERVIEWS with the Daily Mail, and the Sun, and Piers Morgan. So of course he wasn’t going to show the letter. He’s only showing the letter now because he has another reason to talk to the British press. And to an outlet that has repeatedly trashed the daughter he claims to love so much. If you haven’t already, read the full text of the letter here. I don’t see how that’s a good look. Your daughter just sent you a five page letter telling you how f-cking disappointed she is that you’re basically a Kardashian now with a camera in your face all the time and your brilliant suggestion is to call up the cameras and take a picture? That’s a move straight out of the Kris Jenner playbook – and if you don’t care about PR, why are you borrowing from the Kris Jenner playbook? So, again, yes, we’ve established that Thomas Markle is a liar and an opportunist and a famewhore. But the other part of the conversation is how this latest episode of Markle Mess came to be. I think we can safely assume that Meghan’s friends talked to PEOPLE with her blessing. Putting it out there deliberately that she’d written her dad a letter, then, she would have and should have expected that he would react like this. If we expected it, I can’t imagine she wouldn’t have expected it. The fact that he ended up sharing the letter is a certain a vindication that it exists, and it happened. But, as I said last week, a “fresh wave of mess” is now upon us. Overall then, even with that vindication and the release of the letter that lays out how profoundly betrayed she’s been by her own father, was this a good move? Here’s where I’m most interested – because according to royal insiders, Meghan made this move independent of the communications team at Kensington Palace. Last fall, I wrote extensively about the motivations of the courtiers behind the scenes, the vipers who’ve long worked at Buckingham Palace and Clarence House, who are supposed to coordinate their strategies with KP but who often have their own agendas. 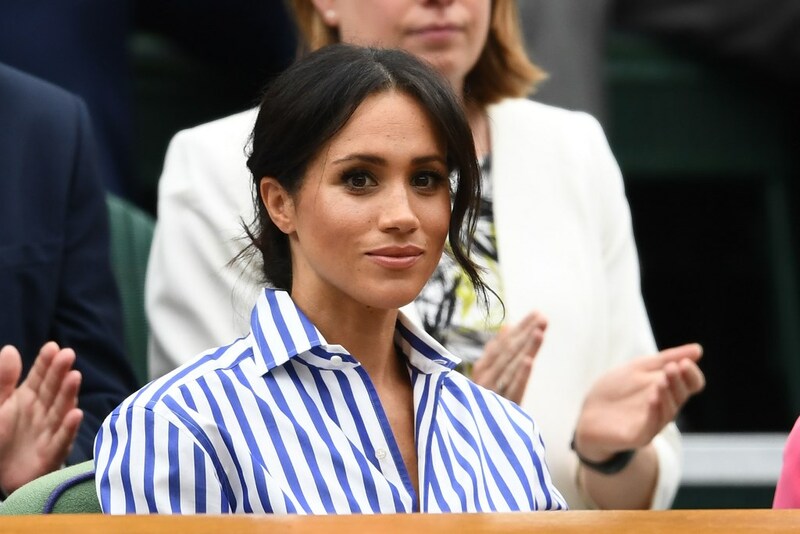 Meghan’s now spent enough time in the royal fold to see how these rivalries are playing out and how she’s been affected in the process. Diana never trusted the courtiers (she too authorised her friends, without telling the palace staffers, to speak on her behalf – to Andrew Morton, remember?) and what we’re seeing here, in this PEOPLE reveal, is that Meghan might not trust them either. She and her friends may have set this up without them. Because the PEOPLE story is not how royals traditionally handle their sh-t. They typically handle their sh-t by hoping the sh-t eventually goes away. Clearly that’s not how Royal Meghan wants to do it. And this is what we have to watch for going forward. She and Harry have already confirmed that they’ll be moving to Windsor. As I wrote back in December, “they’ve decided instead to leave the royal power centre, physically separate themselves from all three courts – Buckingham, Clarence House, and KP – and take up permanent residence outside of the city”. Even though the physical move isn’t happening for another few months, it would appear that a symbolic move in policy and procedure is already underway. She’ll maintain, as we have seen, a full working royal schedule, unimpeachable on that front. But in terms of strategy and management, Meghan Markle is going rogue.